must have a factory XM receiver ,Factory DVD rear seat Entertainment (RSE) or factory aftermarket cd changer (factory 6 disc changer built in the radio does not qualify). • Lower cost and higher quality sound than a FM modulator. • Perfect for SUV’s like Rainier. 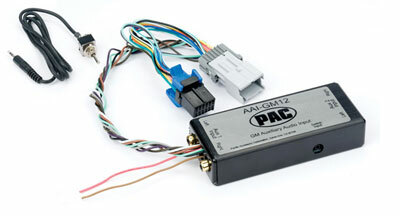 • Comes with a three position switch which allows you to switch between two auxiliary inputs and the factory slave unit. 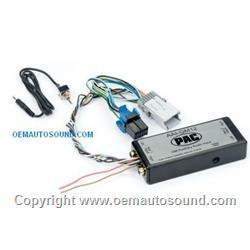 • High quality audio isolation IC eliminates engine noise. • Internal CMOS electronic switching for long term reliability. • Completely plug & play. Requires no external wiring.